Dr. Malanima has been a professional musician for over 25 years playing in many world’s renowned musical institutions and orchestras such as: Youth European Community Orchestra, Orchestre de Chambre de Lausanne (Switzerland), Orchestra della Radio Televisione della Svizzera Italiana in Lugano (Switzerland), Maggio Musicale Fiorentino (Florence -Italy), Orchestra della Toscana (Florence—Italy), Orchestra Sinfonica “Haydn” di Bolzano e Trento (Bozen—Sud Tirol—Italy), Orchestra Sinfonica della RAI TV di Roma (Rome—Italy), Orchestra dell’Accademia Nazionale di Santa Cecilia (Rome—Italy), Orchestra dell’ Arena of Verona (Verona Italy), Orchestra del Teatro Petruzzelli (Bari—Italy), Orchestra del Teatro Carlo Felice (Genova Italy). 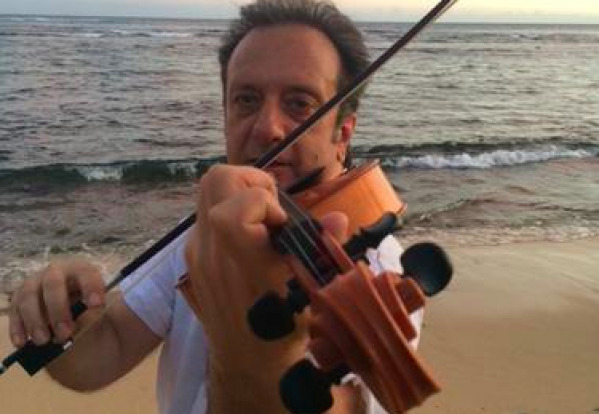 Dr. Malanima holds a life term position at Teatro Carlo Felice Orchestra where he also plays assistant principal viola. He has also served as Principal Viola in the orchestras of the Puccini Festival in Torre del Lago (Lucca—Italy), the Mascagni Festival (Livorno—Italy), Verdi Festival (Parma—Italy), Crested Butte Music Festival Orchestra (Colorado—USA), The Juilliard Orchestra (1992). As a Chamber musician he has been one of the founding members of the Quartetto d’archi Modigliani with whom he has produced many recordings and concerts. His solo recordings in contemporary music by composer Stefano Giannotti for the deutschland Radio have won the international Karl-Sczuka- Preis in 2003. As an active baroque instruments specialist Dr Malanima plays as soloist and in ensemble the Viol, Viola d’Amore and the baroque Viola. Dr. Malanima earned a National DOCTORAL DIPLOMA from the Italian Conservatory and the Advanced Certificate in Music Performance from the Juilliard School in New York where he studied as a Fulbright Scholar. Dr. Malanima has studied with the following teachers : Giusto Cappone, Margater Pardee, William Lincer, Karen Tuttle, Yurii Bashmet, The Juilliard String Quartett. He has attended at summer classes in Meadowmount Summer String Festival, Tanglewood Orchestra Music Festival, Corsi di Alto Perfezionamento Accademia Chigiana Siena. During his orchestra career Dr. Malanima has performed in some of the major concert halls throughout the world with the most acclaimed soloists and conductors such as: Abbado, Muti , Metha, Chailly, Gatti, Thielemann, Luisi, Maazel, Dudamel etc. etc.